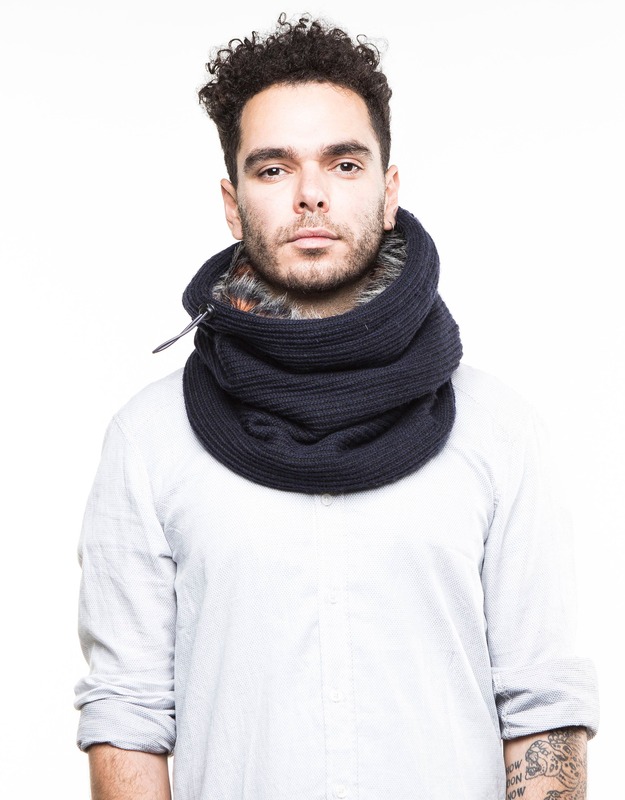 winter Infinity Scarf, perfect gift for men. 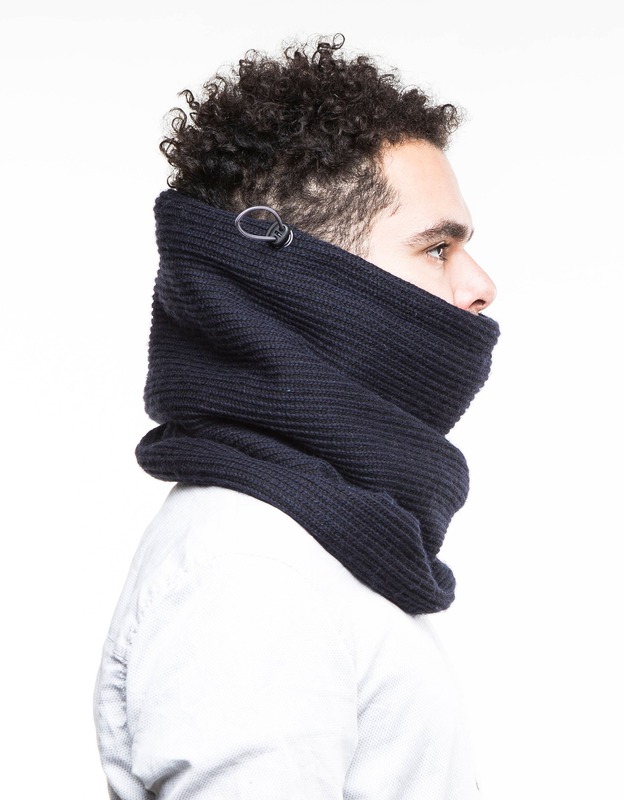 Super warm and stylish neck gaiter or cowl scarf! Makes a perfect gift for him. 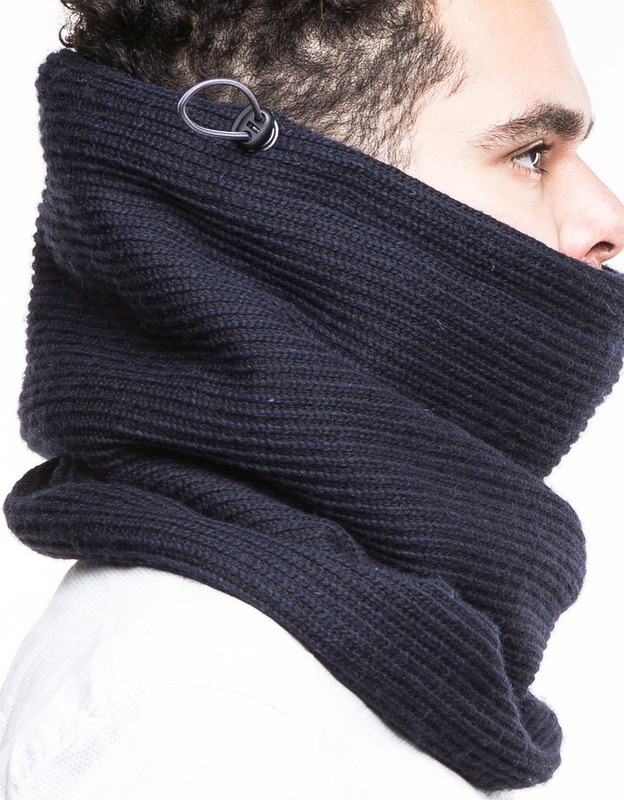 This neck gaiter is designed for the coldest of winters. 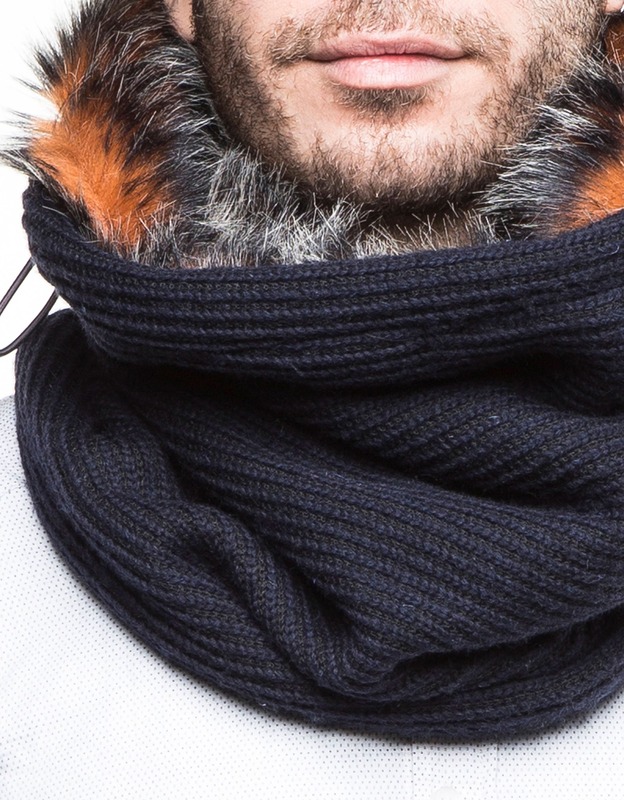 With the thick wool outer shell and the soft polar fleece inner lining it will keep your neck and face nice and snug. "Super warm and comfy! Already placed another order!" Outer shell of scarf: Wool blend. High quality, classic and timeless dark blue ribbed wool. The dark grey elastic cord allows it to be adjusted to weather and taste. 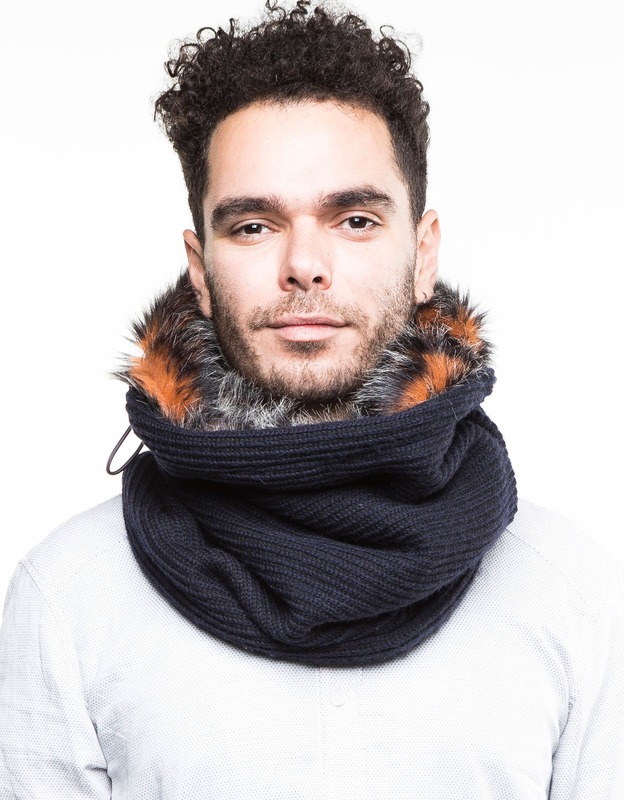 Inner shell of cowl: 2 linings: Top half: Very soft and warm grey faux fur with orange base to add a bit of colour. BottomVery high quality and extra warm melange charcoal cotton that looks great when folded over. The bottom half: Soft quilted dark grey melange cotton blend. Can be worn upwards in warmer conditions. Warm, comfortable, classy. Highly recommended. Perfect! Warm, GREAT quality and fast shipment. And looks sooooo good on! 😊turned out to be the perfect x-mas gift- thank you! I got this as a gift for my boyfriend and he absolutely loves it! It's super warm material, and he loves that you can pull it above your nose and ears for extra warmth. Great quality item!